Whether it’s healthy lunch boxes, baked treats, yummy home-cooked meals or gourmet dinner parties a well-designed kitchen makes the job of a home chef so much easier and more enjoyable. Knowing how important the heart of the home is to the value of a home, we did some research into what the critical ingredients are to create a chef-worthy kitchen. The hands-down winning ingredient in creating a kitchen that works well for a home chef is space; easy mobility between the different working areas of the kitchen i.e. preparation area, storage, cooking appliances, cleaning areas etc. and most importantly countertop space! Whether you prefer the natural option of butcher-block wood countertops or the sleek modern finish of granite or marble, space to work is paramount. Countertops must be clean and uncluttered; unnecessary gadgets and décor displays are an annoyance to serious foodies and do not belong on the working surface. Chef work is hot work and a kitchen with poor ventilation is a big no-no for any home chef. Getting rid of steam, smoke and odour is as important as cooling the cook’s brow, so well-positioned windows that are not blocked by bulky or nonfunctioning curtains, be they café or drapes, is not an ideal solution. Blinds are a great window finish in kitchens, they allow for great ventilation control and can be easily opened or closed to suit the indoor and outdoor temperature. 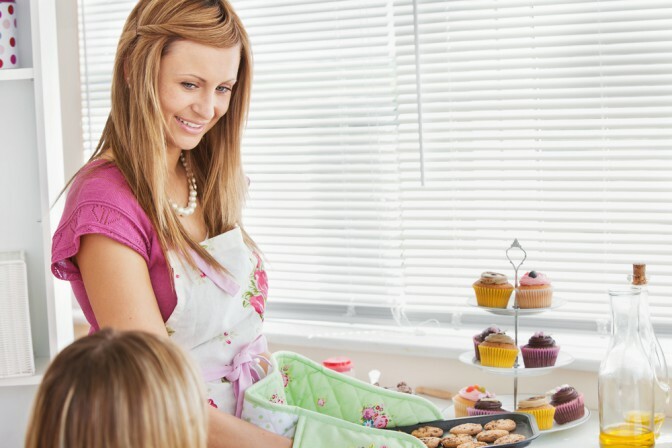 There is not time to waste when following precise recipes and timing in the kitchen, kitchen tools, equipment and appliances must be easy to find and simple to access. There is little more irritating to a home chef than the unpacking of a cupboard to reach the desired object tucked behind unorganized clutter. Glass cupboard doors, open shelves and a chef-favourite, the pot rack and perfect storage solutions in a chef-worthy kitchen. Good lighting is important in a well-designed kitchen. 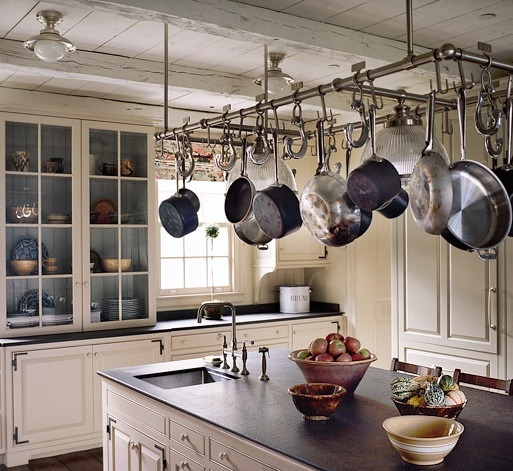 For recipe reading and precise measuring and settings, lighting beyond a simple ceiling lighting is required. Spotlights focusing on key preparation areas, under cabinet lighting may be required. And for kitchens that serve as entertainment areas as well, adjustable lighting to set the mood at service is ideal. As you would expect, cleanliness is of primary concern of any good home chef. Working with raw meat and other perishable goods, a kitchen that is easy to keep clean is important to the health of the family. A dedicated sink used in the preparation of food and another dedicated to washing dishes and cleaning is first prize although not always possible in a home with budget and space limitations. The kitchen is the heart of the home, a space that invites not only with enticing aromas and delicious tastes, but also friendly conversation, family time and the joy in preparing and enjoying meals together. As the heart of the home, the personality of the home must shine through. Be it classic, contemporary or country, find unique ways to show your style in ways that do not impede the preparation of meals.